User growth rate gives you a fair idea of how hard you need to struggle to sustain in the market. Afterall, growth is hope, growth is a belief, growth is future. In this post, we will discuss why user growth rate is important, how to calculate user growth rate for your business and ways to improve user growth rate. What is user growth rate? User growth rate is the % of new paying customers you gain every month. As of today, a 10% user growth rate implies, you gained 10% new paying customers within the last 30 days to the total number of active paying customers you had 30 days ago. We will assume as on 1st July 2018, you have 400 active users, and by the end of 31st July 2018, the user count increased to 460. We will put these figures into the formula. It means in July the user base increased by 15% which is really significant. Calculating the growth rate is not a rocket science, but not as simple as it seems! How user growth rate calculations become difficult? User count increase daily. It may decline as well. The users also include free trial users. However, you need to deduct free trial users count as growth rate depends on active paying customers as the true financial data comes from paying customers. You also need to deduct churned customers. For multiple pricing plans, free trials involved, it becomes difficult to get the user count repetitively. You need a solution that shows you the correct user growth rate without you needing to do any calculations work. Putler shows you 15 important subscription metrics along with user growth rate. Putler will handle all the calculations for you. You just need to track your user growth rate and plan your future actions. In-fact, there will be hardly any solution or very tools that calculates and shows user growth rate. 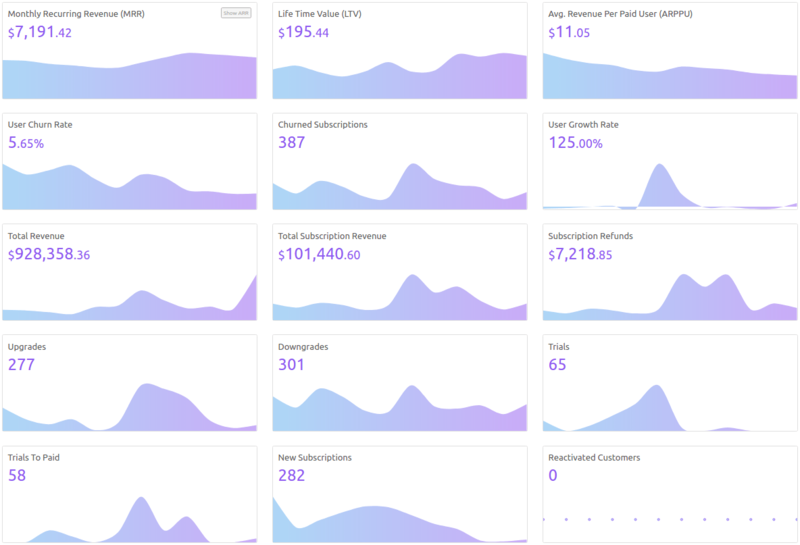 Not only subscriptions, you get 100+ metrics related to sales, customers, products, transactions, forecasting and visitors. Now growth rate being positive is a good sign, only if it is consistent and stays near about the initial observed value. However, the same growth rate for a long period of time indicates no progress. And if the growth rate is negative or declining over a certain period, it’s a big reason to worry. Hence user growth rate indicates whether all the sales and marketing efforts you put are in vain or not. If there’s a downfall in the growth rate in a certain timeframe one can estimate the reason for the decline. You need to alter your strategies, work hard, motivate your team to reach their goals. Sometimes environmental, political, social issues also affect the growth momentum. For continuous growth, you need to focus on the three scalable channels discussed below. You can acquire users through paid advertising but within reasonable margins after considering other costs. Paid advertising can earn you a revenue which you can re-invest again in advertising for scalability. Sometimes a product does have a ‘X’ factor which differentiates it largely from its competition. Therefore you can leverage that factor in your promotions. It can make your product go viral and with this effect, you can earn a lot from the word of mouth publicity. Try to ascertain one unique quality of your product. Search engine optimization by large plays a vital role in generating leads that convert to customers. Publish rich and easy to follow content on a consistent basis. Making search engine optimized content on regular basis can get you continuous flow of leads. On the flip side, there are some unscalable practices which take place usually in case of a startup. Let’s look at them and see to what extent they are effective. All of these unscalable ways to promote and scale your business are low- risk factors. In business dynamics, there is one belief which is true to a large extent i.e ‘The higher the risk, the higher the returns’. If you look at all the seven ways above, they are all low-risk ways that you can get a few hundred sign-ups from contests, one or two coverage in the media but it is all one time. For continuous growth, you need to strike a balance between high risk and low-risk investments. To understand this balance a better way, you can take the help of Barbell Strategy. In the end, we can ascertain that growth is all that matters to the business and tracking user growth rate continuously can become challenging at times. You can make this job a way lot easier with the help of Putler. 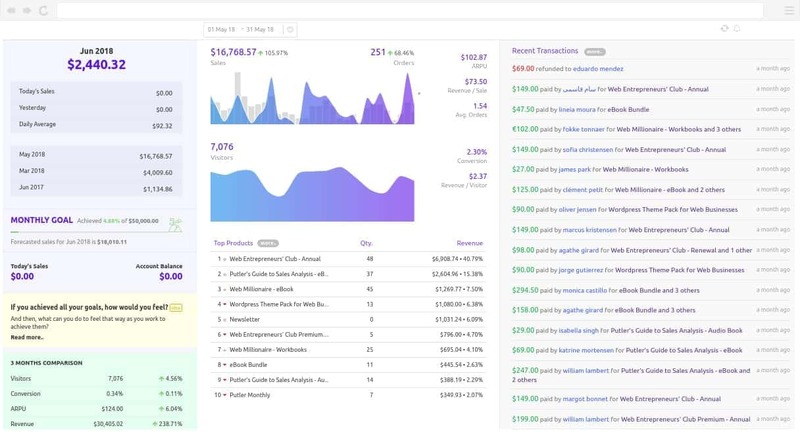 You can view different business metrics along with the user growth rate in a single dashboard.